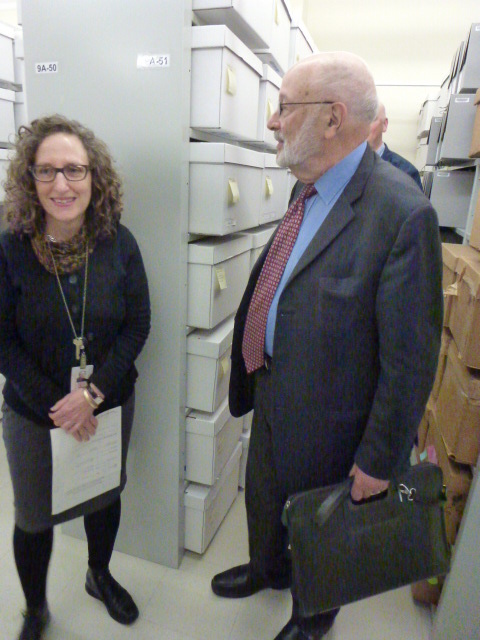 Lawrence A. Kobrin visited us today at the American Jewish Historical Society to review and discuss his donation of records from his time as a member or chairman of various committees at the Federation of Jewish Philanthropies in the 1970s and 1980s and, after the merger of the United Jewish Appeal and the Federation, into the 1990s and 2000s. Mr. Kobrin was Chairman of the Distribution Committee, the Communal Planning Committee and the Committee on Jews in the Inner City, as well as a longtime Trustee-at-Large and member of the Executive Committee and Board of Directors. Lawrence Kobrin reviews his donation of correspondence and reports from his time as Chairman of the Distribution Committee. 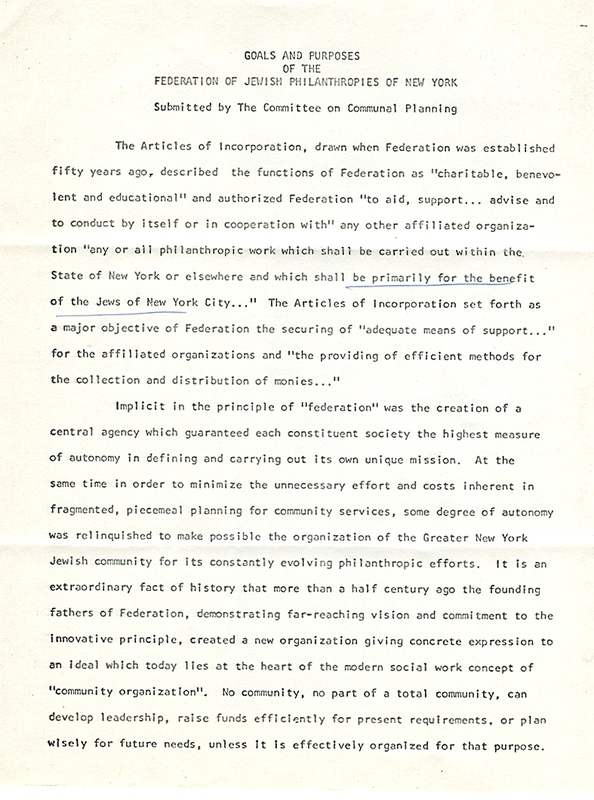 Mr. Kobrin recounted his understanding of how the Federation was organized between lay leaders and professional staff, the structure and relationship between the Distribution Committee, Functional Committees, and the member agencies, and the merged UJA-Federation of Philanthropies of New York. Also, he described his activities that took place after his 1985 oral history, which included work on the Long Range Financial Planning Committee, Strategic Planning Committee, and his time as member and Chairman of the Board of The Jewish Week. 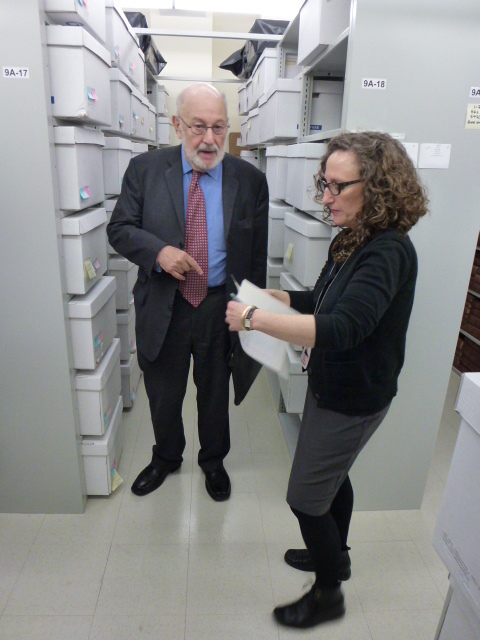 We were able to show him our progress on the project and where his donation of archival materials had been processed and incorporated into the records of the Distribution Committee, Communal Planning Committee, and other committees. Susan, Vital (the photographer), Marvin, and I want to thank Mr. Kobrin for his time and generosity in visiting and talking with us today and his donation of bound volumes and papers. 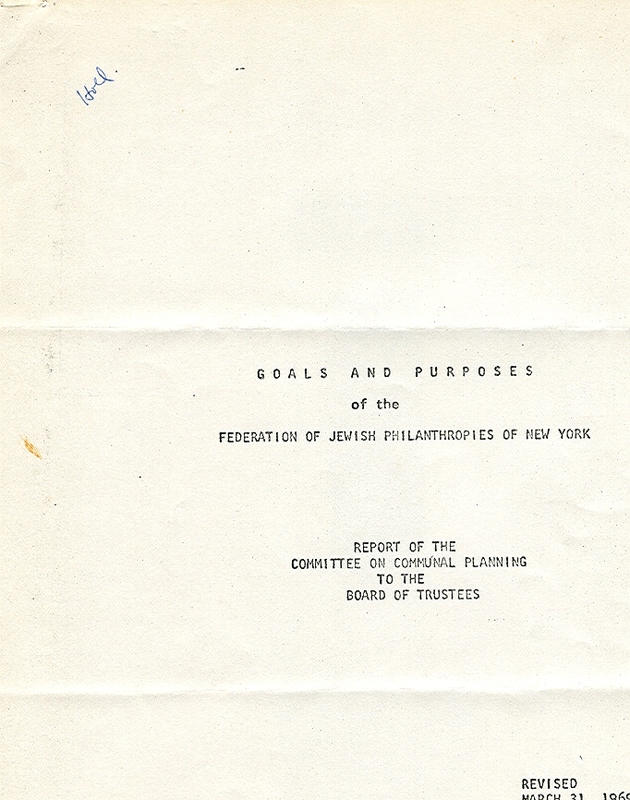 In March 1969, Federation’s Committee on Communal Planning (CPC) sent a report to the Board of Trustees entitled, “Goals and Purposes of the Federation of Jewish Philanthropies”. Signed by Leonard Block as chair of the CPC, the document lays out for the members of the Federation Board options for the evolution of Federation’s goals and purposes in the coming decades. 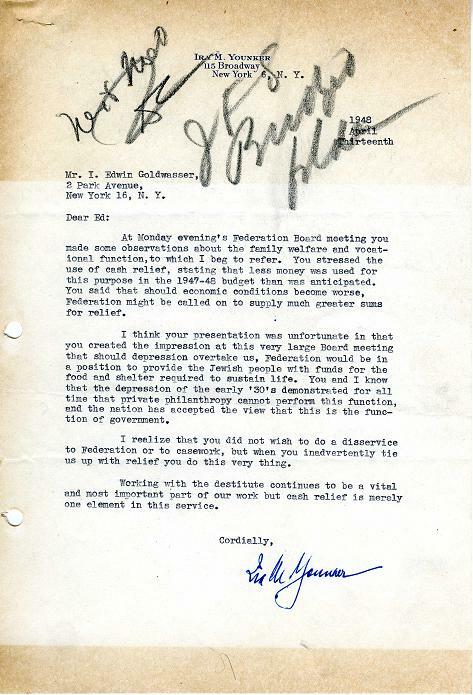 Leonard Block has many files of correspondence within the Federation archives; processed so far is correspondence found within the papers of Federation Presidents, Executive Directors and retired Executive Directors from at least 1967-1990. 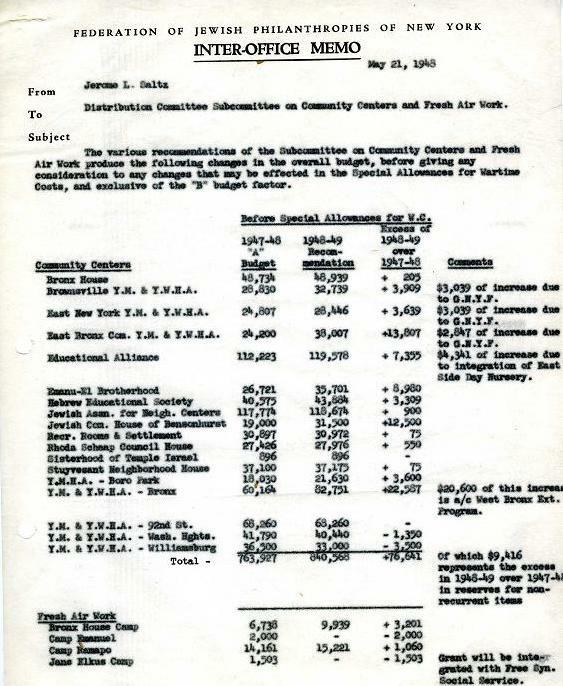 In his oral history, Block discusses his role on various Federation committees and his disagreements with other leaders on the board as the needs of the Jewish community changed and Federation made decisions on how their funding would accommodate those changes. 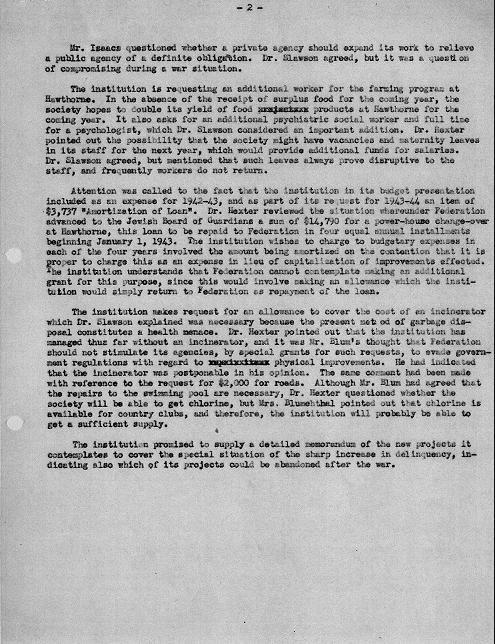 The report begins with a brief history of the reasons for creating Federation in New York City. 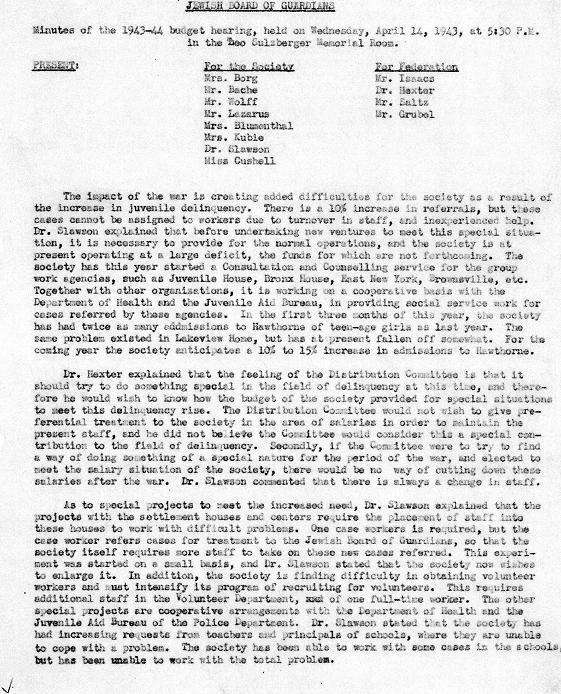 Copies of record of this document can be found within the series on the Communal Planning Committee and the Board of Trustees. 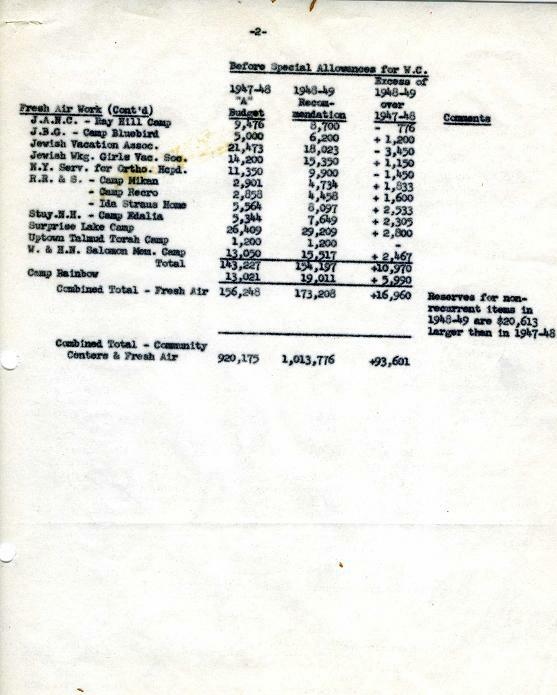 The copy pictured here is located within the papers of Sanford Solender. Solender had it filed within its own folder, and he has underlined a number of sentences on page two and elsewhere. For this reason his duplicate copy will be retained. Written in March of 1969, it was still relatively current when Solender began his tenure at Federation in 1970, and probably still very much under discussion. 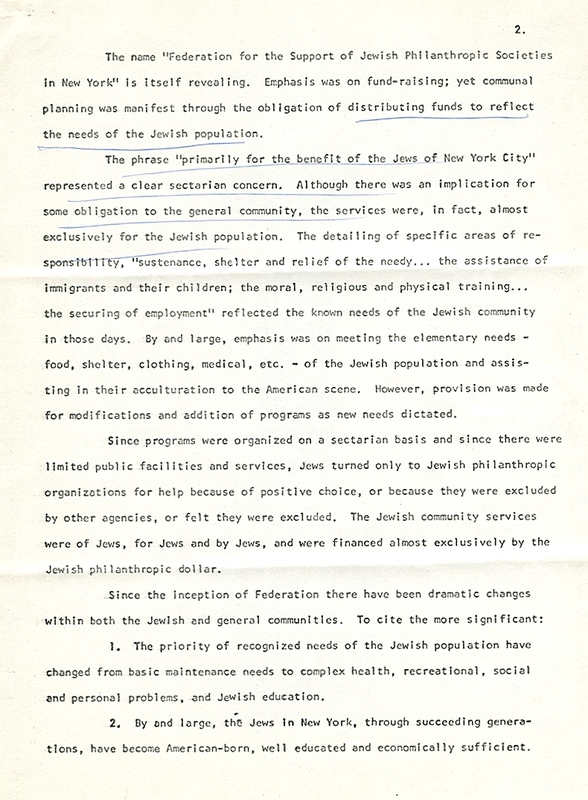 On later pages Block enumerates the changes within the Jewish and general communities in New York City, goes on to list “some basic philosophical assumptions before formulating the goals and purposes of Federation for the foreseeable future” (including a section on sectarian and non-sectarian service), and ends with the committee’s suggested goals and purposes “for the next few decades”. 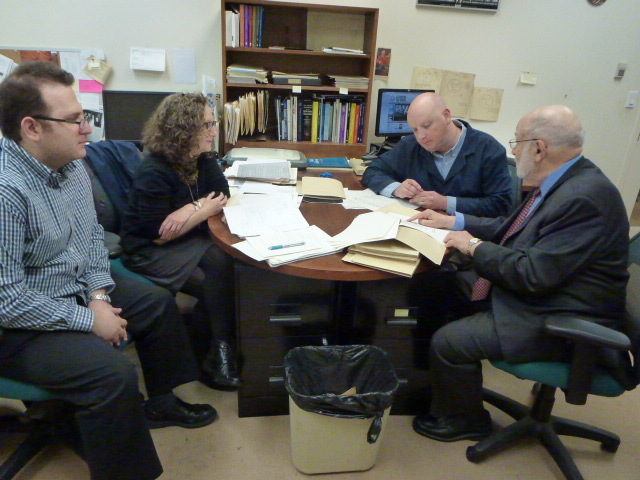 Over the last few weeks, the Gruss Lipper Digital Laboratory at the Center for Jewish History has completed ingesting the digital surrogates of the UJA-Federation Oral History Project’s audio tapes and transcripts up through the letter P. All of the digitized interviews are at access.cjh.org and are also linked to the finding aid for the Oral History Project. That means that researchers and those interested in the history of the UJA-Federation of Jewish Philanthropies of New York will be able to listen (and read) online to the interviews of Henry Friendly, Louise B. Greilsheimer, Maurice Hexter, Justin Israel, George M. Jaffin, Lawrence Kobrin, Stanley Lowell, Harry Mancher, Minnie Nathanson, Steven Osterweis, Murray Peters, and many other interviews. In the coming months, the Digital Laboratory will be completing the digitization of interviews whose participant’s last name begins with R, S, and T.